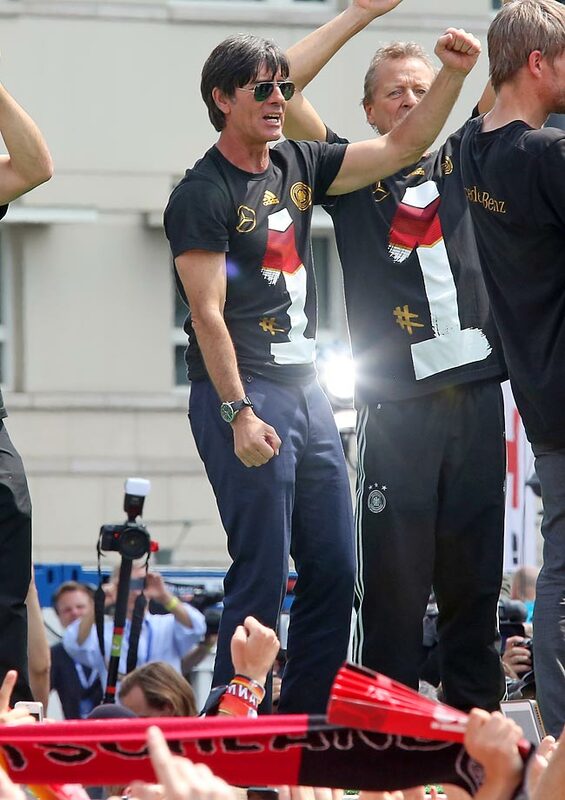 From left, Toni Kroos and Thomas Muller: Two players the U.S. won't have to account for in a June 10 friendly. 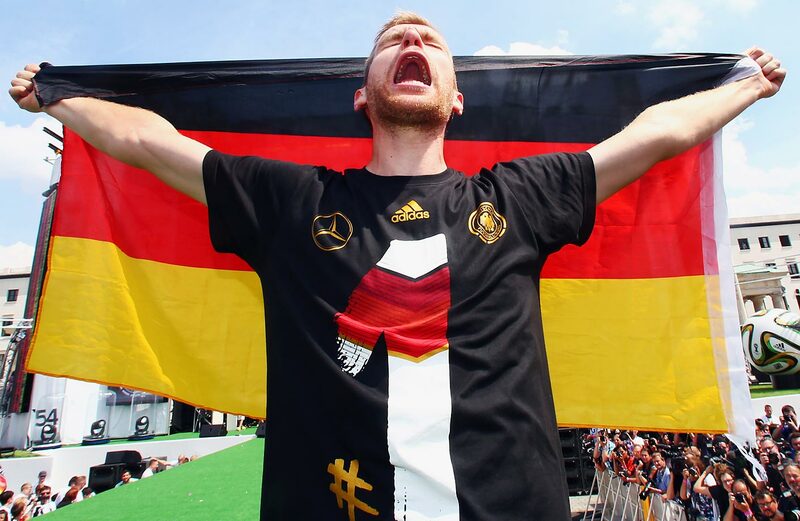 Three of Germany's top players won't be on the field when the World Cup champions host the U.S. men's national team in a June 10 friendly. 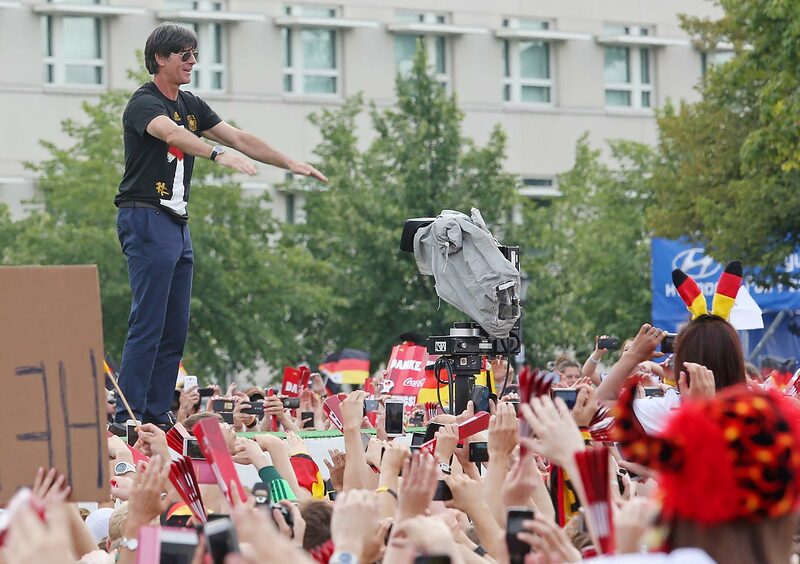 Goalkeeper Manuel Neuer, midfielder Toni Kroos and forward Thomas Muller were all omitted from manager Joachim Low's roster for the match, though the Germans still boast plenty of firepower. 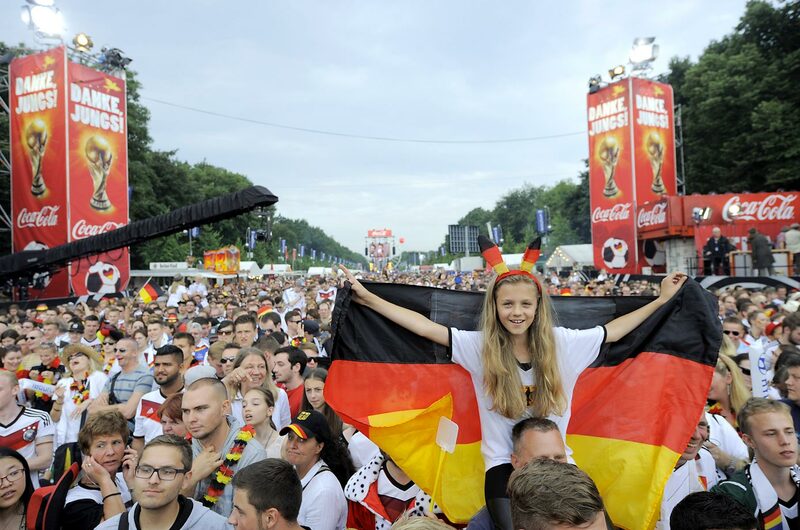 Mario Gotze, who scored the World Cup-winning goal in Brazil last summer, leads the attack along with Andre Schurrle and Mesut Ozil; Bastian Schweinsteiger and Sami Khedira anchor the midfield, while the likes of Jerome Boateng and Mats Hummels patrol the defense. 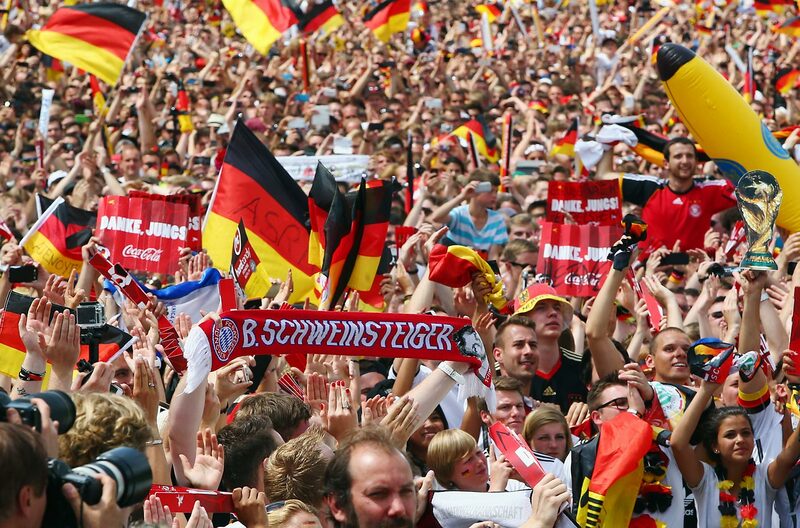 The U.S., which has not released its roster yet and will play the Netherlands five days before the Germans, will be shorthanded as well, as forward Jozy Altidore is out for about the next month with a hamstring injury. 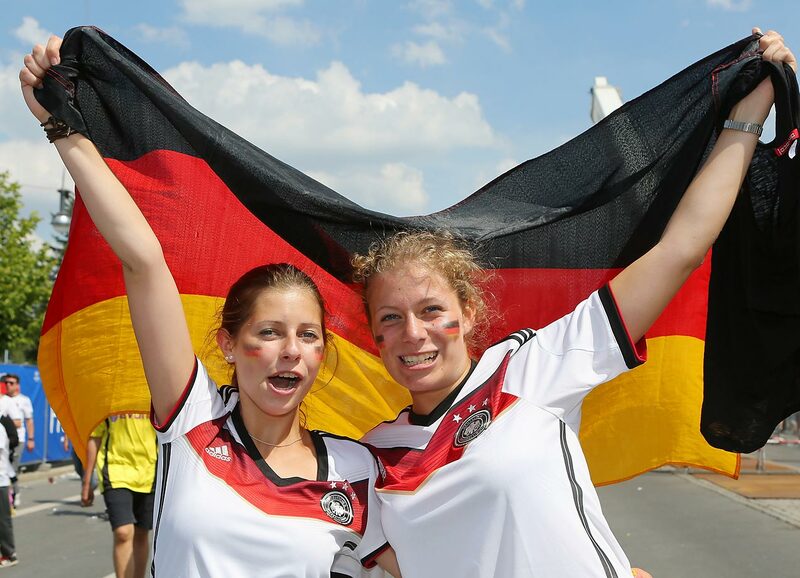 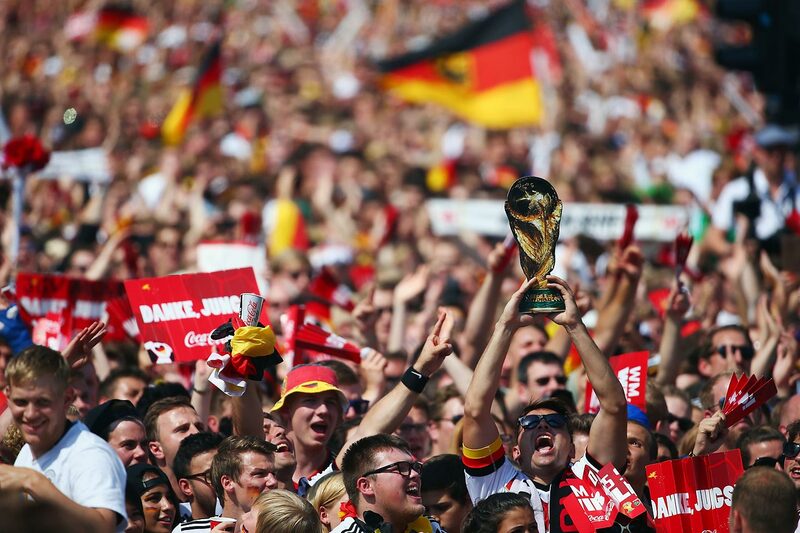 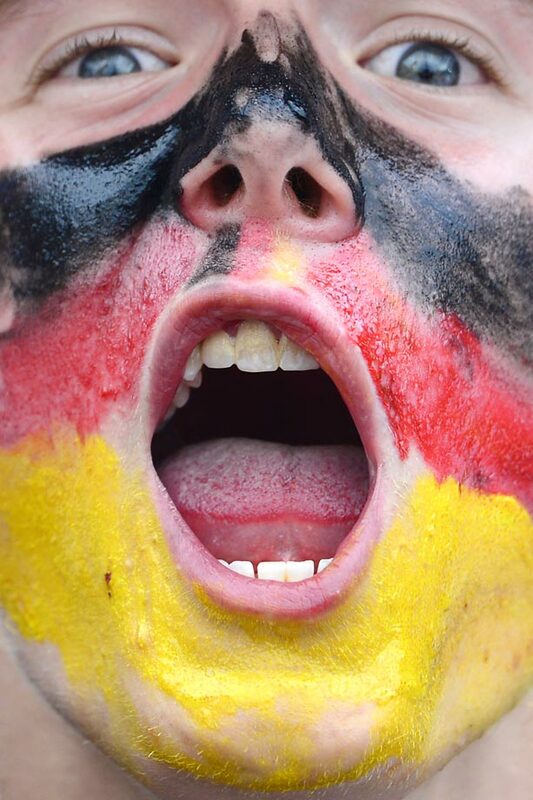 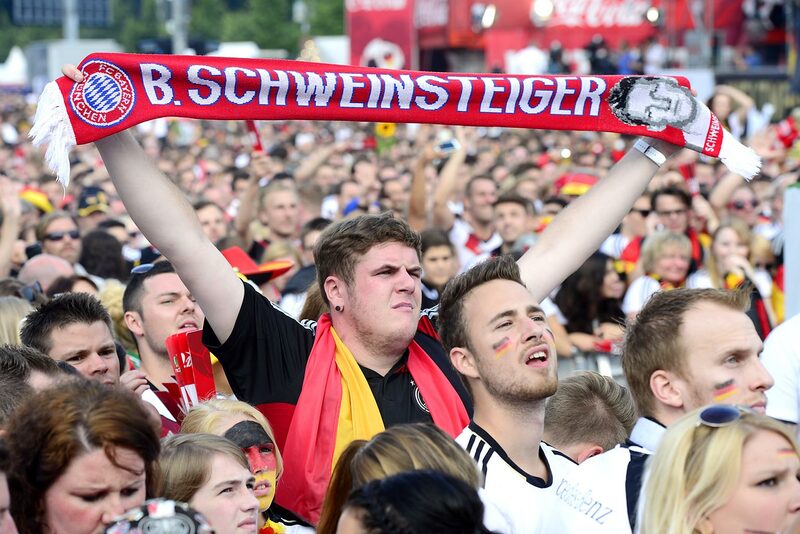 The U.S. last played Germany in the group stage of the 2014 World Cup, falling 1-0 on a goal by Muller. 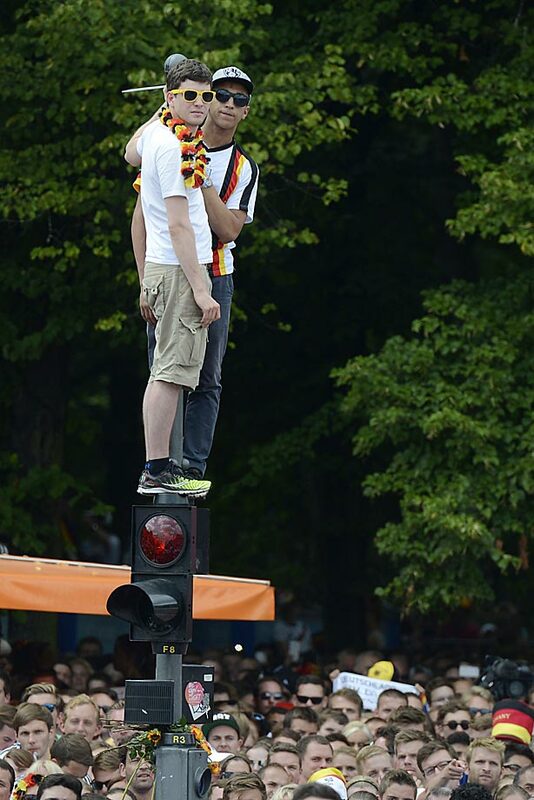 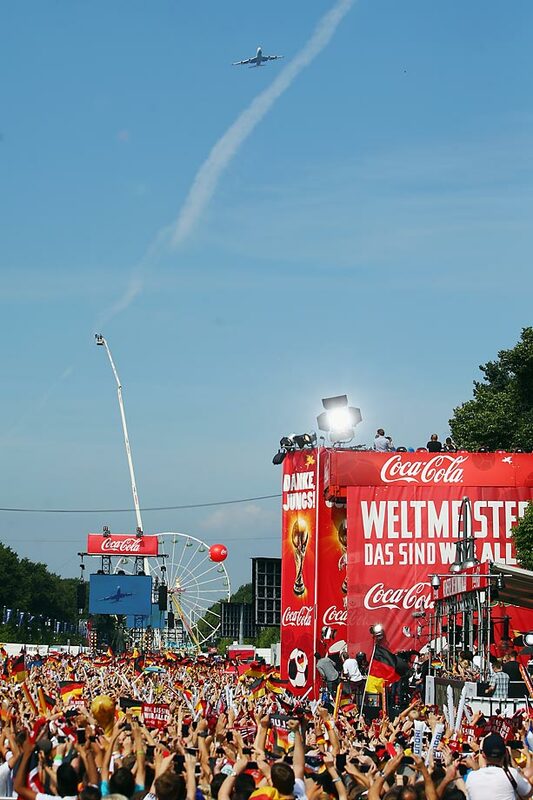 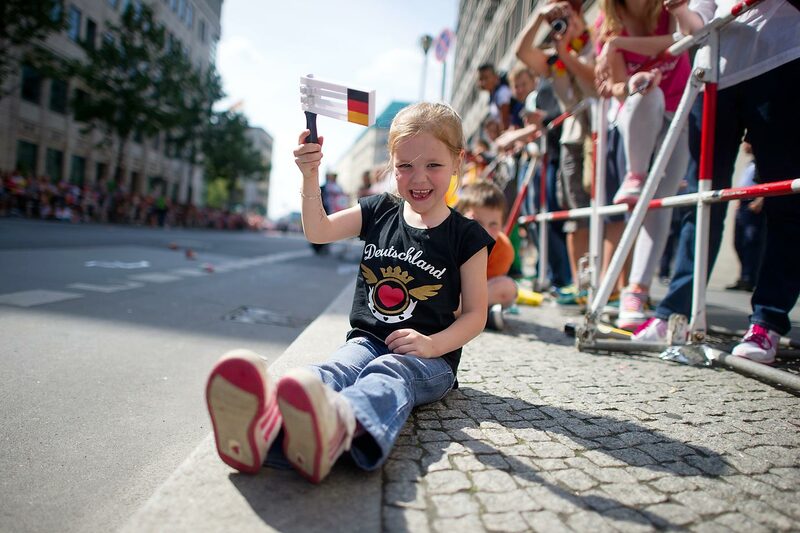 The airplane with the German national on board flies over the Fanmeile at Brandenburg Gate during the German team victory ceremony. 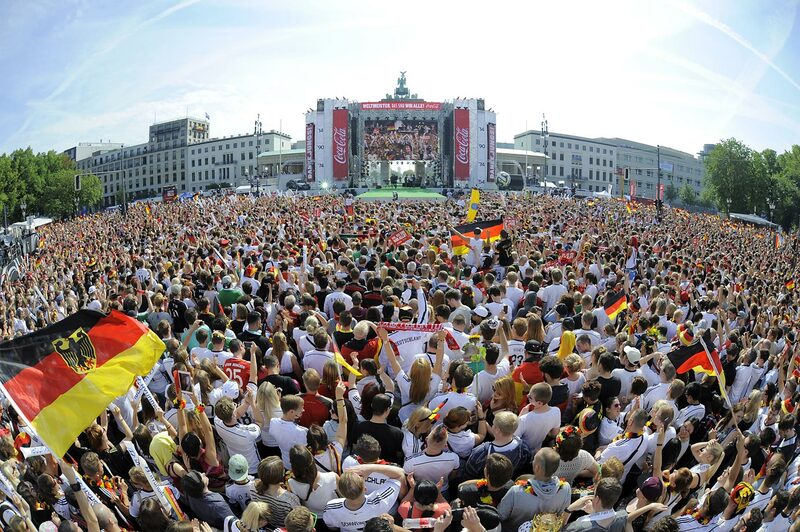 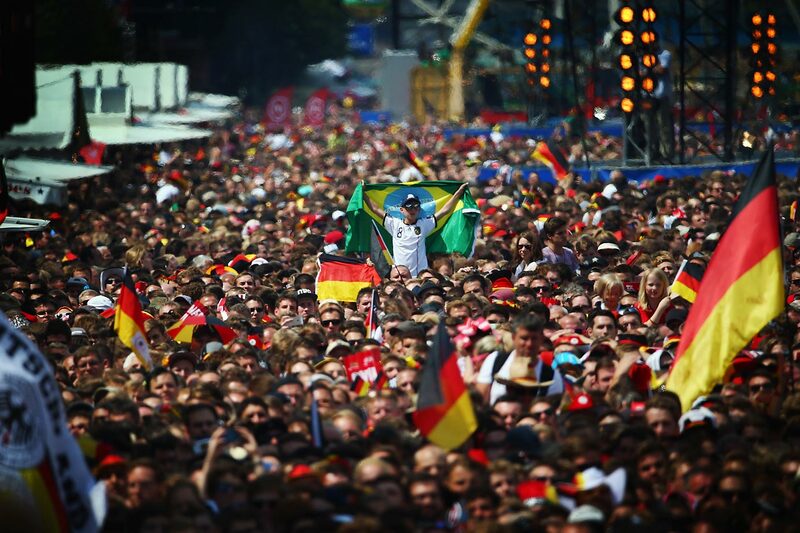 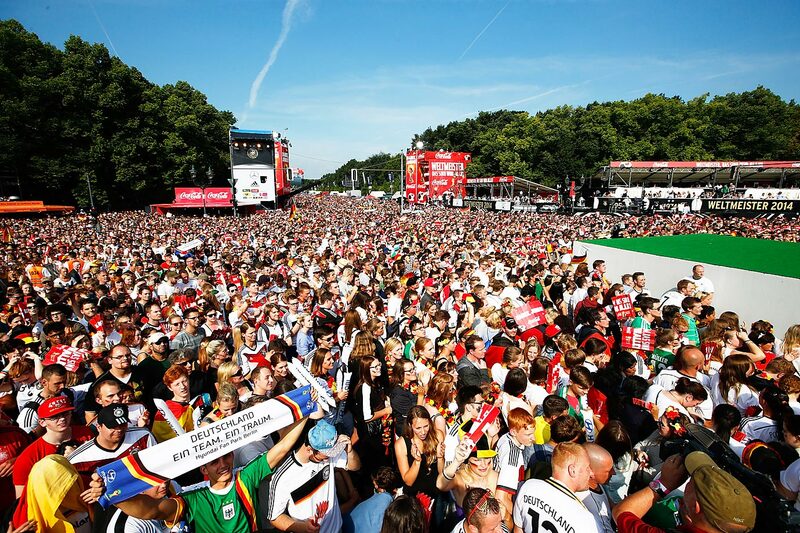 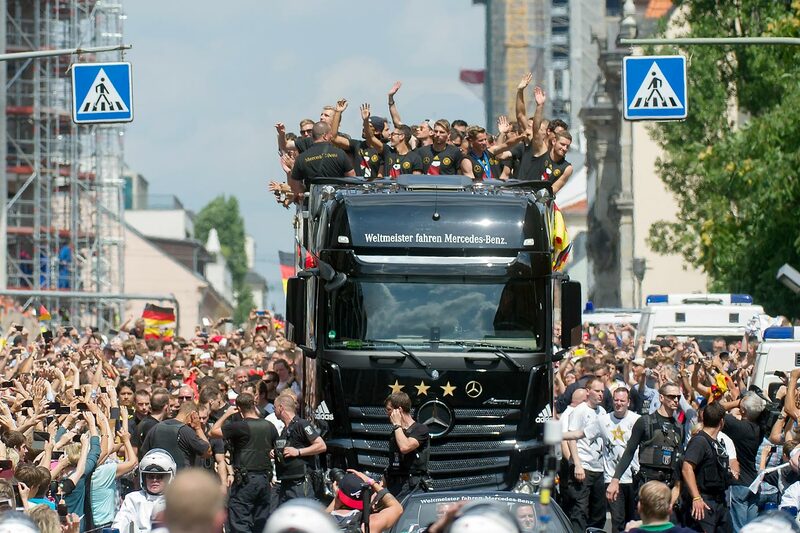 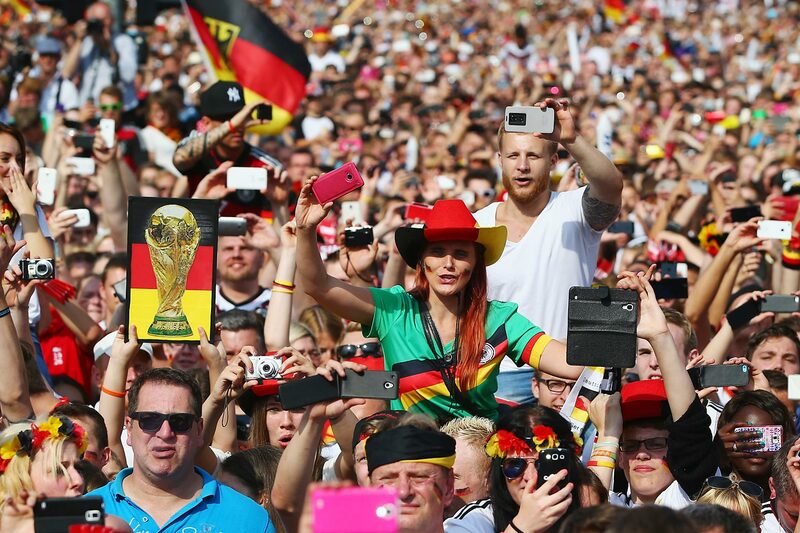 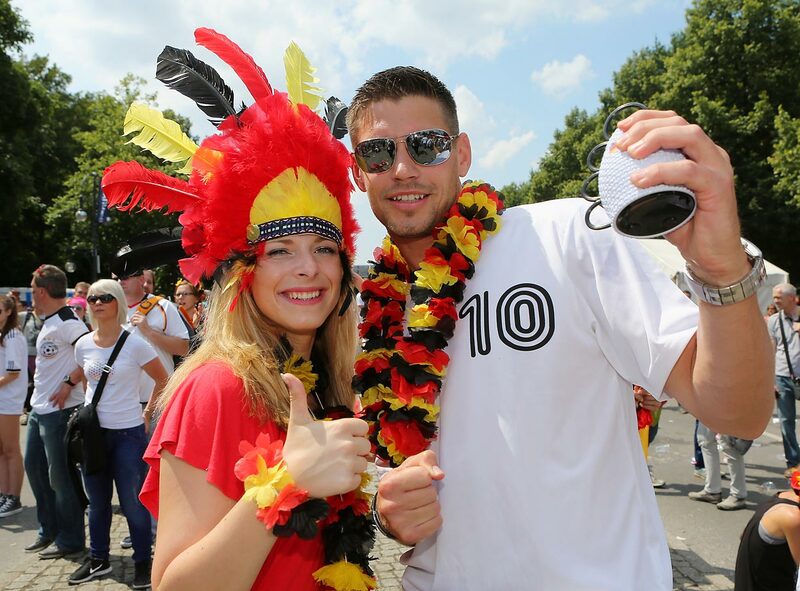 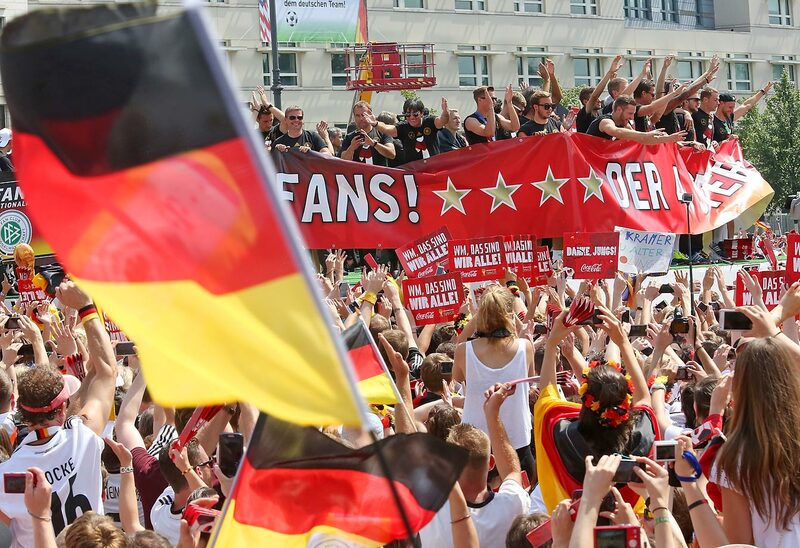 The bus with the players of German national soccer team arrives in central Berlin. 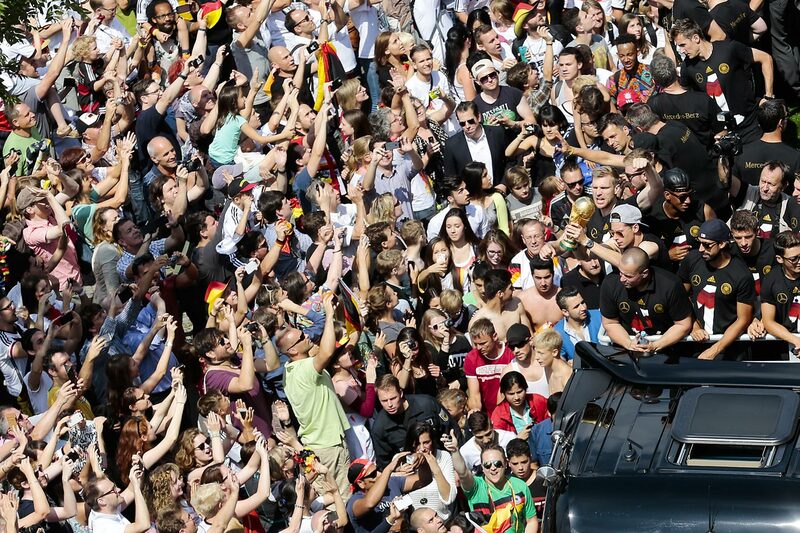 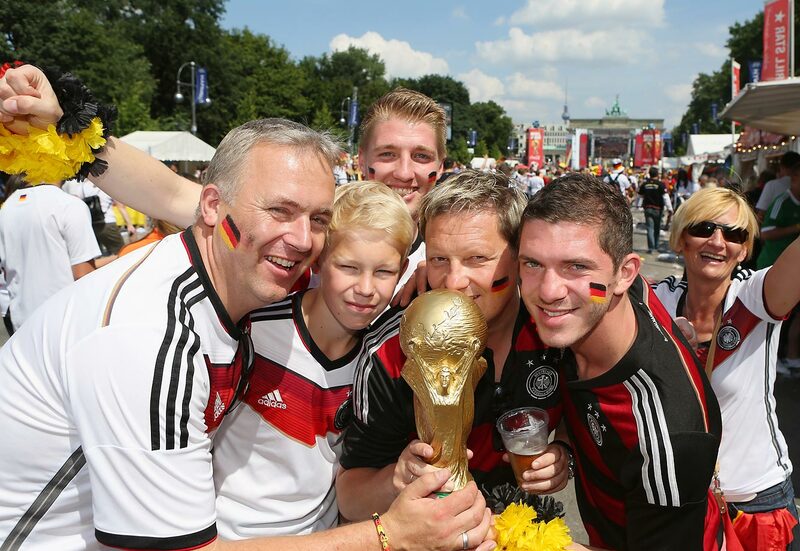 The German team arrives at Brandenburg Gate. 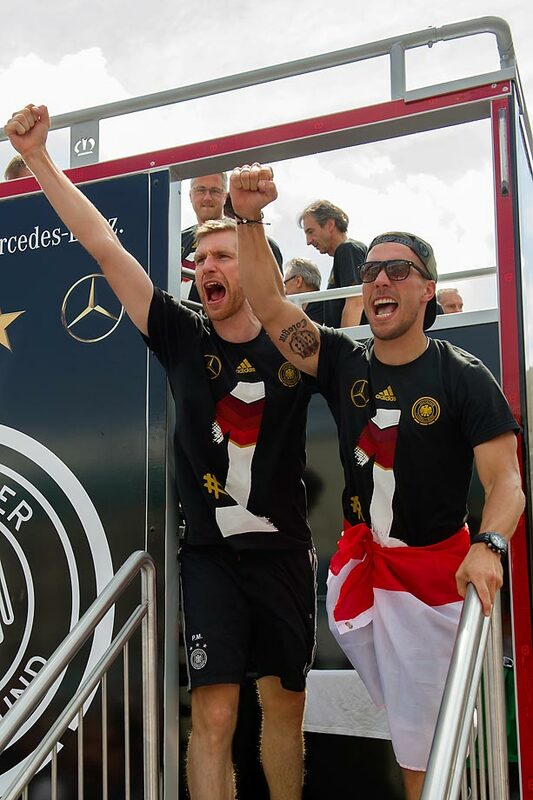 Per Mertesacker (L) and Jerome Boateng. 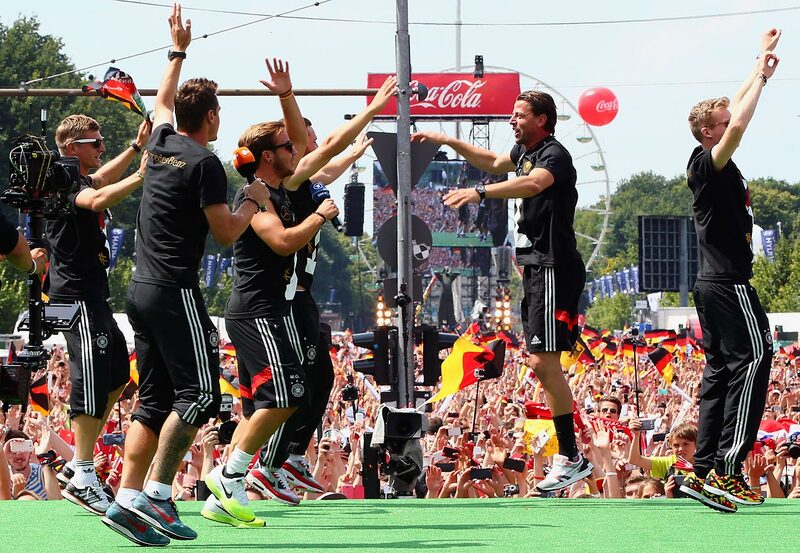 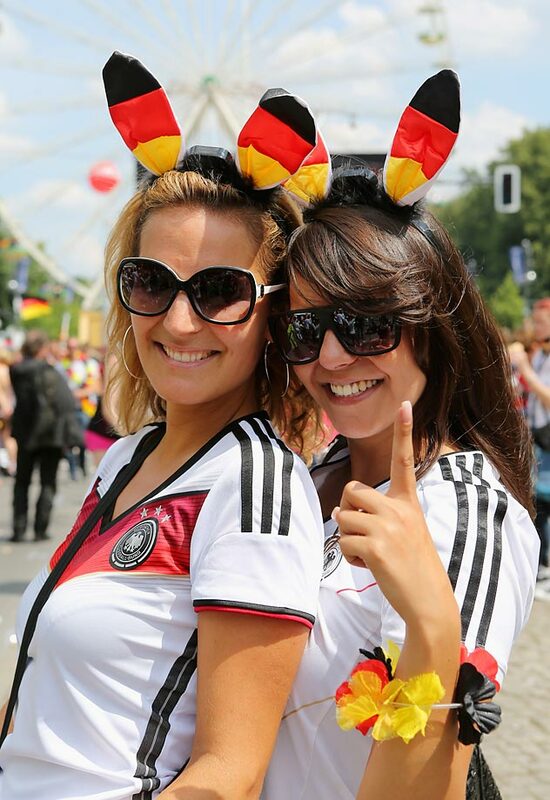 Team Germany and Helene Fischer. 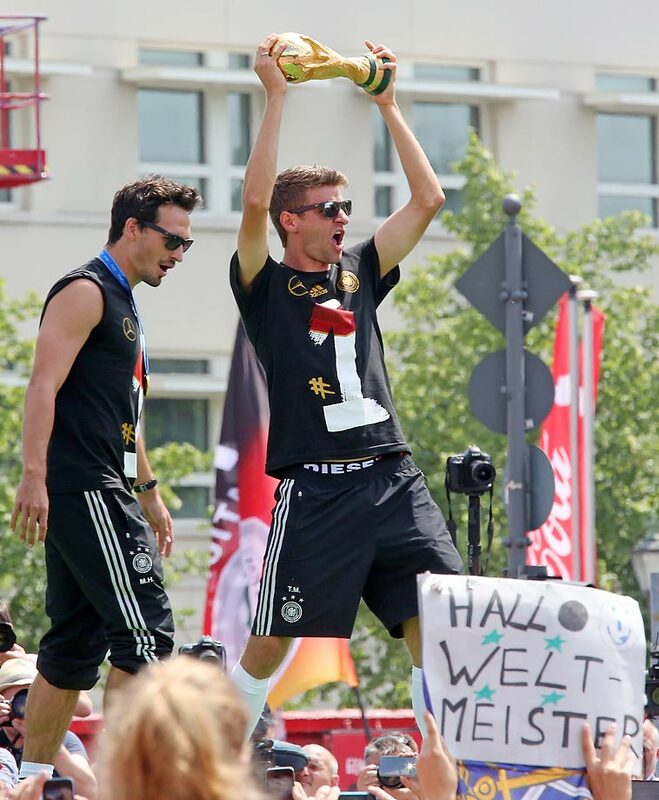 Mats Hummels and Thomas Mueller. 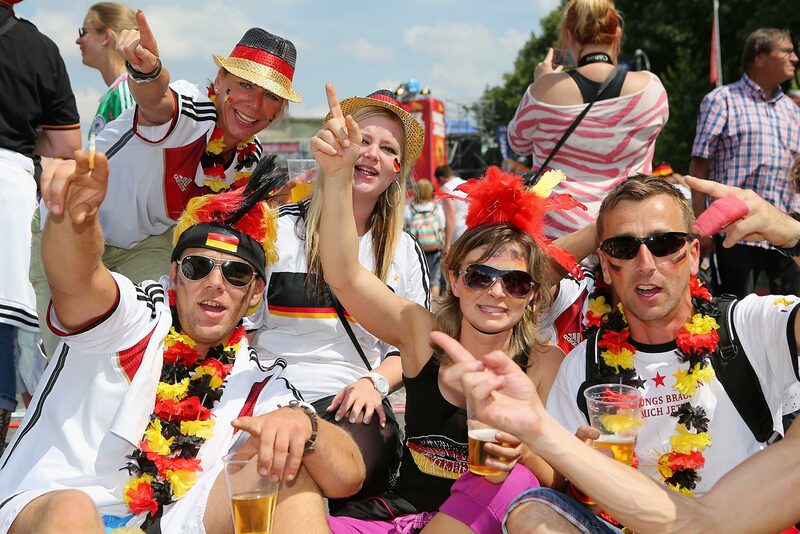 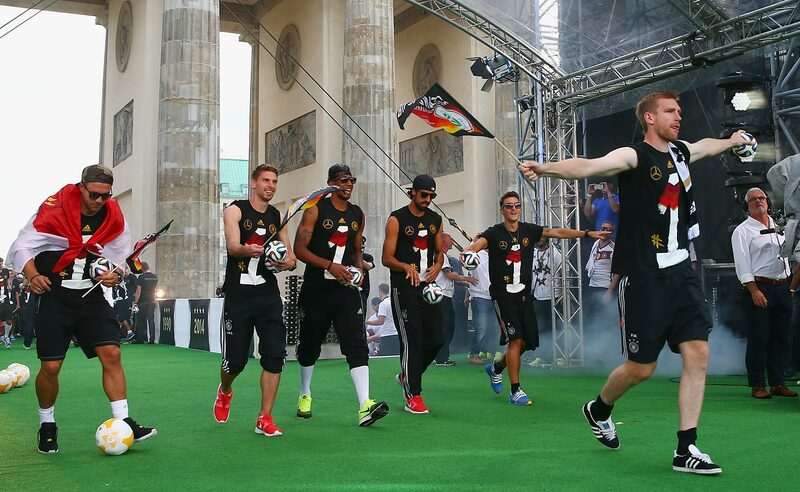 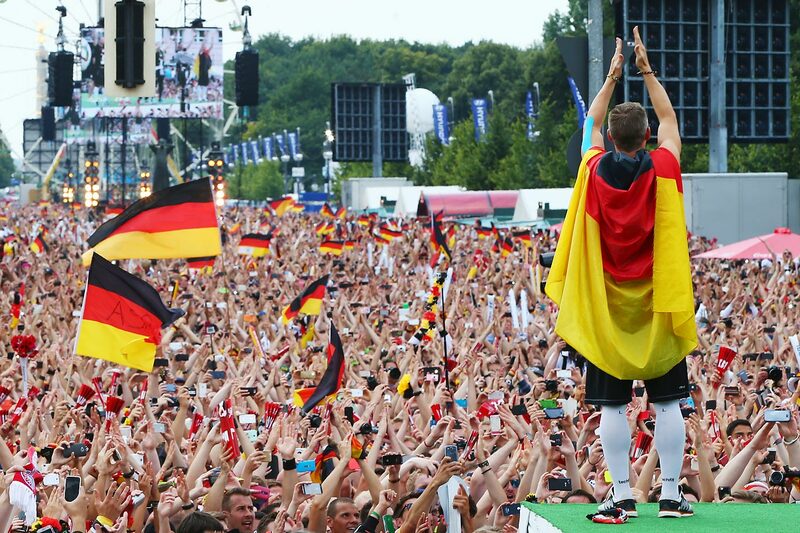 Germany's players perform a conga line. 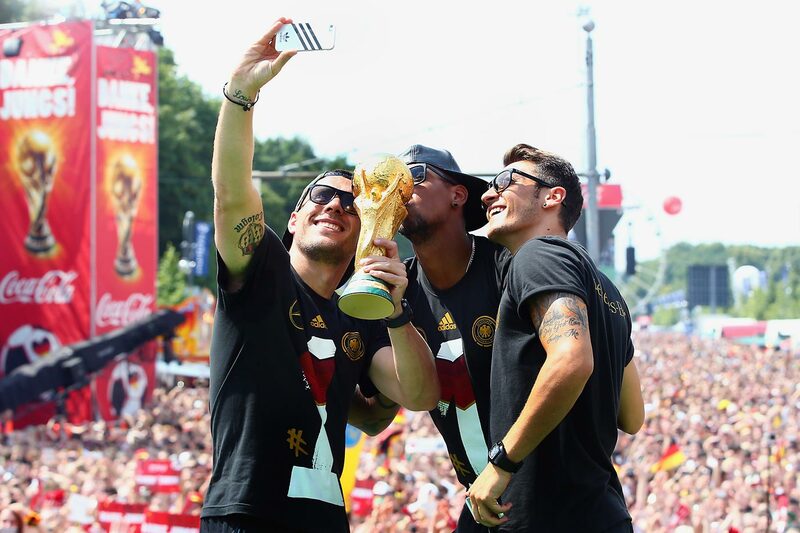 Lukas Podolski, Jerome Boateng and Mesut Oezil. 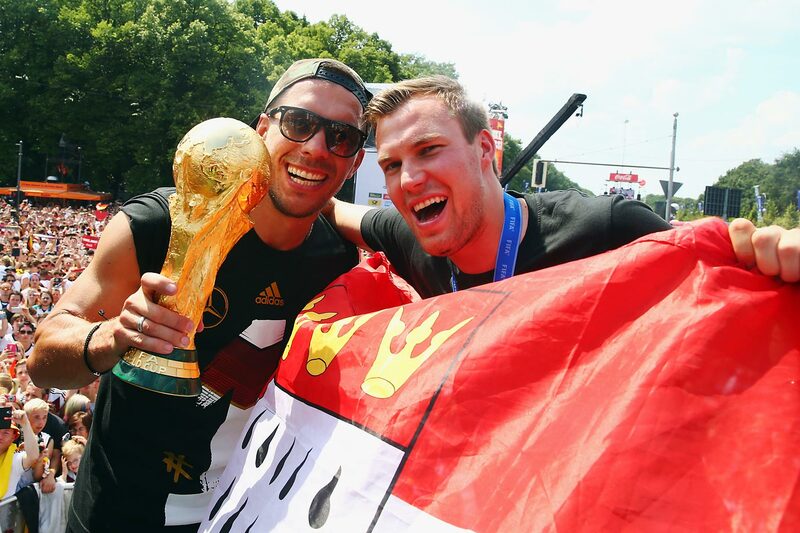 Lukas Podolski and Kevin Grosskreutz. 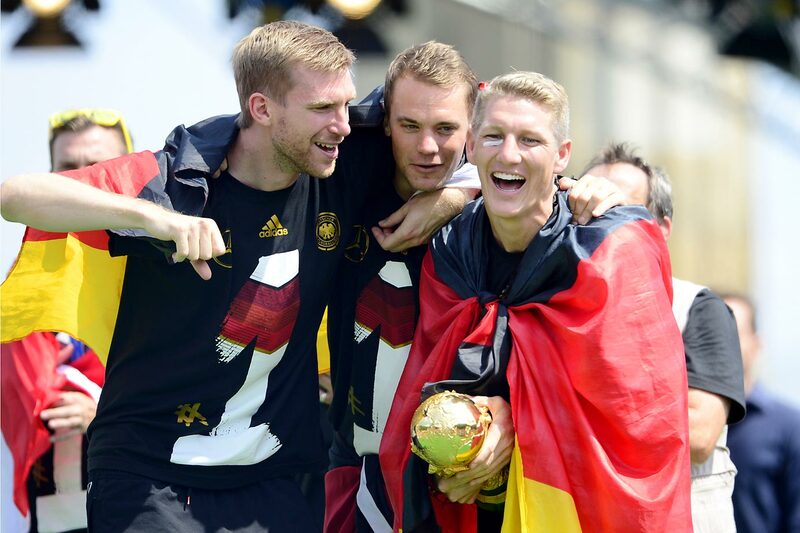 Roman Weidenfeller, Shkodran Mustafi, Andre Schuerrle, Miroslav Klose, Mario Goetze and Toni Kroos. 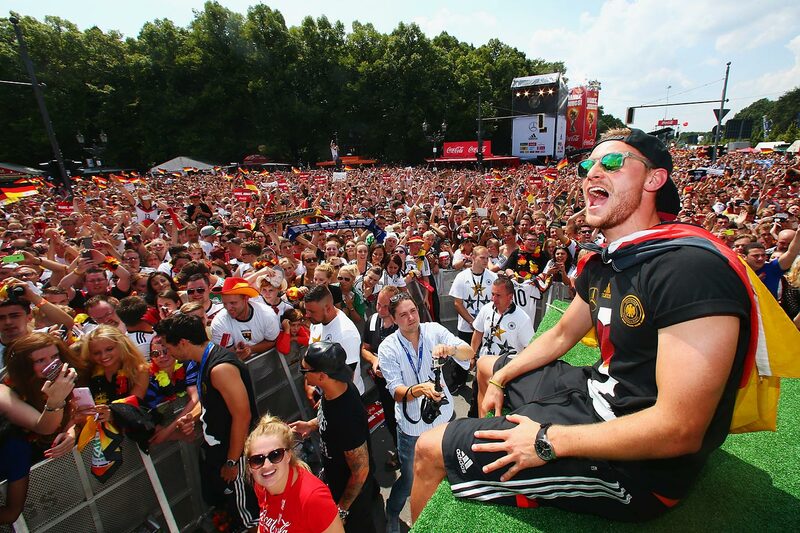 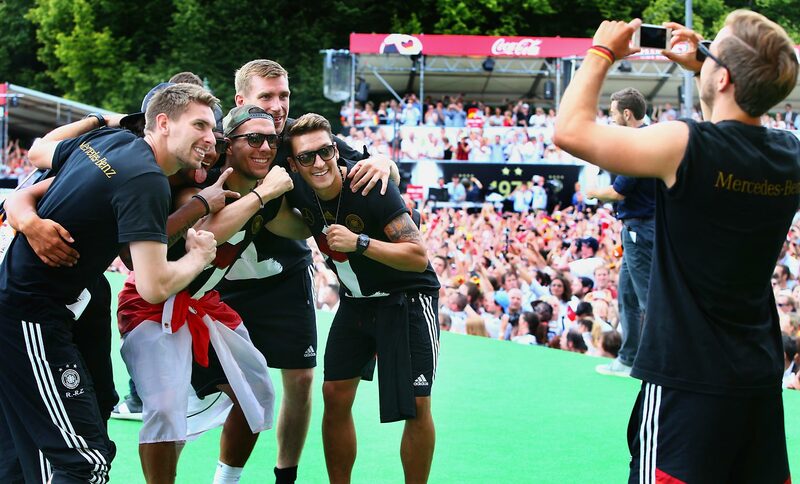 Mario Goetze takes a photo of Ron-Robert Zieler, Jerome Boateng, Lukas Podolski, Per Mertesacker and Mesut Oezil. 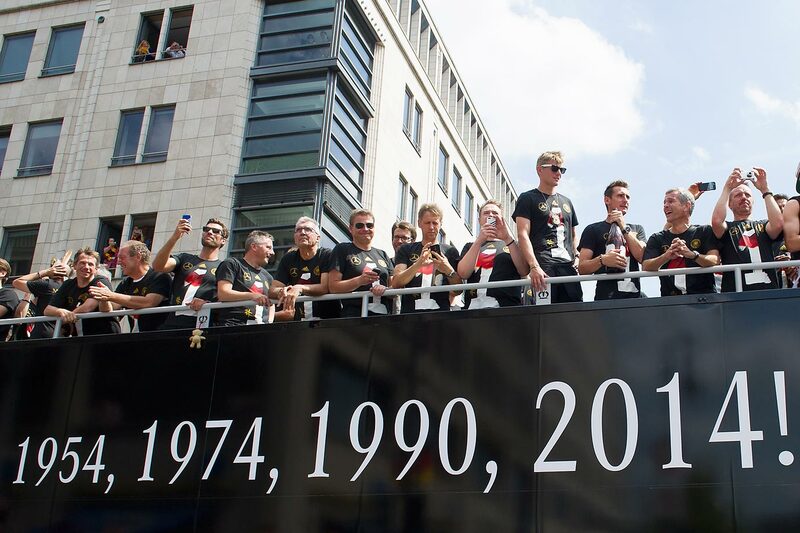 Lukas Podolski, Ron-Robert Zieler, Jerome Boateng, Sami Khedira, Mesut Oezil and Per Mertesacker.